Dead Sea bath salts (5000g) – x 3 Pack Savers Deal. 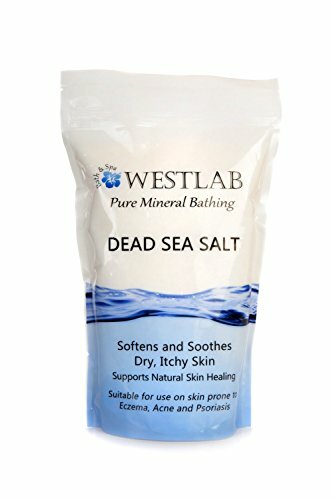 Westlab natural Dead Sea salt is imported from the Dead Sea in Israel. Dead Sea salt is an excellent way to sooth the skin and rejuvenate the skin cells, the Dead Sea has more minerals than normal sea salt and has many healing qualities, Dead Sea salt is high in magnesium. These pictures are for illustration purposes only NB. grain size will vary depending on stock.